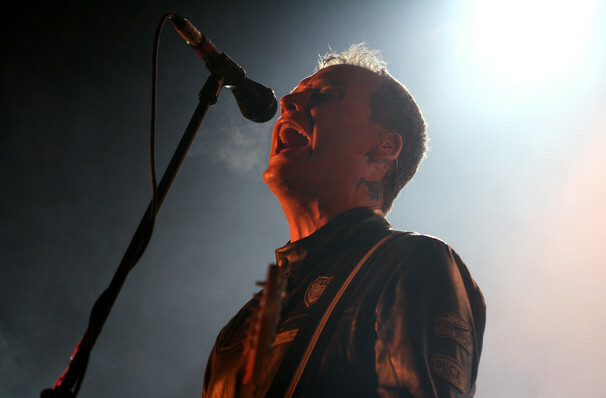 Formed by ex-Jerkwater, Traitors drummer and current Blink 182 member Matt Skiba (vocals/guitar), Glenn Porter (drums/vocals, formerly of 88 Fingers Louie)and Rob Doran (bass/vocals), Alkaline Trio was brought together in 1997 by heartbreak, angst, and the companionship of drinking. Now with eight albums under their belt the trio return to touring after being away for three years! Throughout their 15 year long career these boys have always stuck to their punky roots but aren't afraid to mix it up with fresh new sounds. Don't miss out on this epic reunion tour and lets hope that this means new tracks are on the horizon! Seen Alkaline Trio? Loved it? Hated it? Sound good to you? 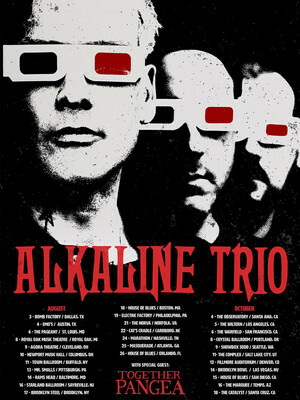 Share this page on social media and let your friends know about Alkaline Trio at Electric Factory. Please note: The term Electric Factory and/or Alkaline Trio as well as all associated graphics, logos, and/or other trademarks, tradenames or copyrights are the property of the Electric Factory and/or Alkaline Trio and are used herein for factual descriptive purposes only. We are in no way associated with or authorized by the Electric Factory and/or Alkaline Trio and neither that entity nor any of its affiliates have licensed or endorsed us to sell tickets, goods and or services in conjunction with their events.